Mr. Nawata has over 18 years of public market experience, nine of which he spent as a licensed stockbroker focusing on financing of junior mining and oil/gas projects with Nesbitt Burns, Research Capital Corporation, and Raymond James. 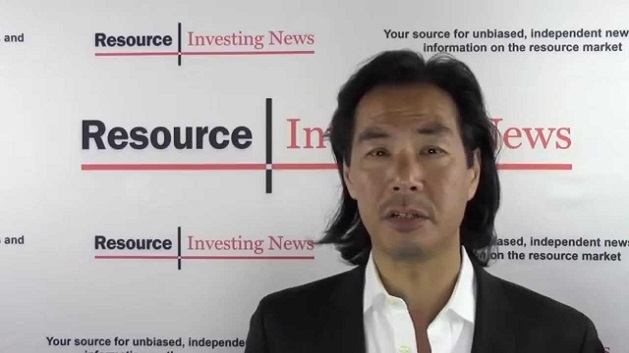 Mr. Nawata currently holds a position in Business Development for 49 North Resources Inc. - a resource investment, financial, managerial and geological advisory, and merchant banking Corporation listed on the TSX Venture Exchange. He is also currently the CFO of Red Star Capital Ventures and sits on the boards of Prima Fluorspar and Greywacke Exploration. Mr. Davidson is a chartered accountant with a long history in the reporting and compliance aspects of Canadian listed entities, and has extensive experience with capital structuring and strategic corporate finance. Currently, Mr. Davidson is the Chief Financial Officer and Secretary for 49 North Resources Inc., (TSX-V "FNR") and is also an officer and/or director of several other public and private companies, including Gespeg Copper Resources Inc., Omineca Mining and Metals Ltd., Prima Fluorspar Corp., all of which are listed on the TSX Venture Exchange. Mr. Clark, is a Qualified Person (P. Geo. - Ontario) under NI 43-101. Mr. Clark brings a wealth of experience, knowledge and skills to the Company having focused the majority of his career in northern Ontario. He has held various exploration positions with both major and junior explorers since the late 1980's. Mr. Clark has been the Executive Director of the Ontario Prospectors Association (OPA) since its restructuring in 2000 and has been a Director, Vice President or President of the OPA since its formation in the early 1990's. The Ontario Prospectors Association is focused on providing the mineral explorers of Ontario a stronger voice for issues that affect them. Mr. Clark serves on various provincial government committees and boards that support mineral explorers. Some of these include the Minister of Mines Mining Act Advisory Committee and Ontario Geological Survey Advisory Board. Mr. Kiernan is a mining engineer with more than 25 years mine operation, engineering, corporate and financial experience. He currently holds the position of VP Project Development for Magellan Minerals and prior to which was the Manager Project Evaluation, QuadraFNX/KGHM International ('09 - '12), Mining Analyst, PI Financial Corp ('07 - '09) and VP Mining/Mine Manager Roca Mines Inc. He has also held various senior Mining Engineer positions with Wardrop, AMEC and Inco from 1987 - 2004. Mr. Armes has been a director, and the president and chief executive officer of Lakeland Resources Inc. since Aug. 12, 2010. Mr. Armes has provided corporate development and investor relations services to mining exploration companies for over 15 years including Band-Ore Resources Ltd. (now part of Lake Shore Gold Corp.), and Trelawney Mining and Exploration Inc. Mr. Armes graduated from the University of Guelph in 1993 with a bachelor of applied science degree. With 15 years' experience in corporate governance and over 30 years in corporate administration, Connie Norman has worked with provincial governments, large corporations and small- to mid-cap public companies. Today, Ms. Norman provides Corporate Secretarial consulting services assisting public companies achieve and maintain their public company listing.